The Sega Game Gear was a handheld game console released in 1990 in Japan, 1991 in the US and Europe, and 1992 in Australia. Being an early 1990s handheld, the Game Gear mainly competed with the Nintendo Game Boy, the Atari Lynx, and the NEC TurboExpress. 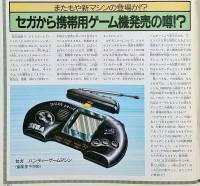 The Game Gear was the third portable color system, following the Atari lynx (1989), and the NEC TurboExpress (1990). Its successor was the Sega Nomad, a portable Genesis. The Sega Game Gear was developed under the name of "Project Mercury" in 1989, to compete with the Nintendo Game Boy. 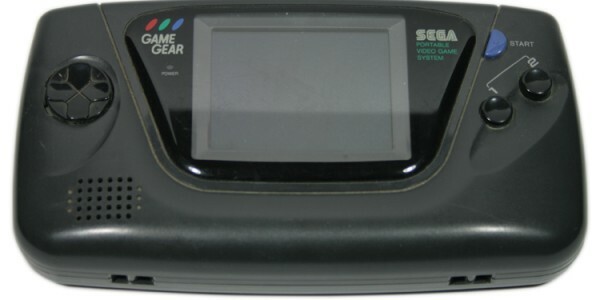 The Game Gear was intended to be a portable Master System, and was more powerful than its rival, the Nintendo Game Boy. Sega based the system on the Master System, modifying it to have better graphics (4096 colors on the Game Gear compared to 64 on the Master System) and a Start button. This means Game Gear games are not compatible with the Master System. You can play Master System games on the Game Gear with a adapter called the Master Gear Converter. The US Game Gear was originally packed with a wrist strap and a puzzle game called Columns. The system originally sold for ¥19,800 in Japan, $150 in the US, and £99.99 in Europe. The Game Gear sold about 11 million units, compared to about 100 million units for the Nintendo Game Boy. The Sega Game Gear has a Z80 CPU running at 3.58Mhz, a 3.2" diagonal full color fluorescent back-lit screen, and a mono speaker (although sound can be in stereo with headphones). The Game Gear will run for about 4-6 hours on a set of 6 AA batteries (depending on the revision). There are many different Game Gear revisions and models. These are just a few, listed with minimal info. 2110: First US version from 1991, compatible with most games and accessories. 2110G: Second US version form ~1993, most games are compatible, however, the TV tuner no longer worked. In 2000, Sega licensed Majesco to make a lightweight version of the Game Gear. It was introduced at the price of $49.99. It is easily recognizable by its darker plastic, purple start button, and colorless text on the face-plate. It is well known for its lack of capacitor failures and better screen compared to the 1991 Game Gear. They usually tend to go for about $50 to $75 on eBay. They stopped production around 2002.